Service learning helps students improve academically and develop personal skills through service projects that meet community needs. 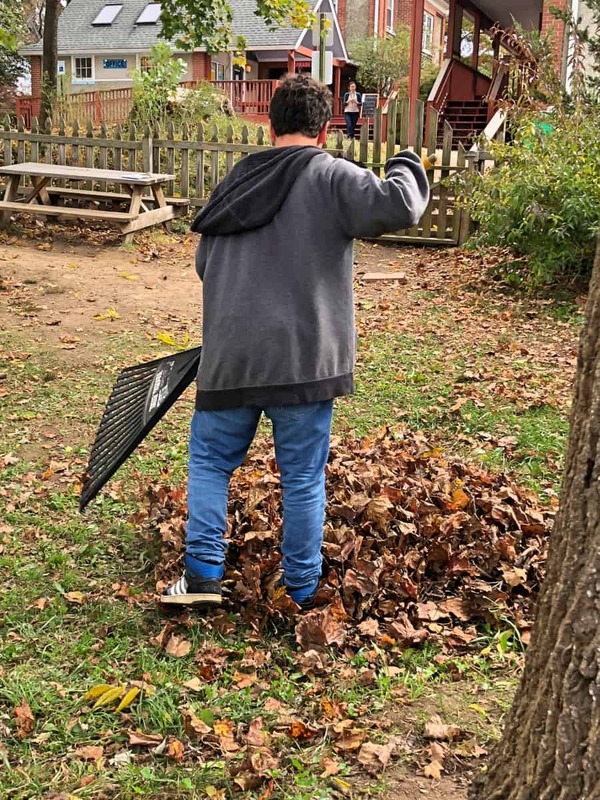 By playing a significant role in designing, planning, and implementing their community service projects, students develop practical skills, self esteem and a sense of civic responsibility. Classes work with nonprofit organizations such as a local food bank, the Honduran Relief Project, Rescue Mission, and geriatric day care. In past years, Rainbow has adopted the local non-profit Children First/Communities in Schools, as an example. Rainbow then donated a significant portion of the Harvest Hoedown fall fundraising event to Children First. Most classes made and sold crafts to support the effort at our winter program. Each class found a meaningful way to collaborate with Children First: from the mitten drive preschool held to the tutoring 7th and 8th grade students provided at the Deaverview Housing Project. By the time students leave Rainbow, a culture of philanthropy and service is a part of their way of being. Service Learning also extends to our Love In Action program. Fundraising efforts now include donating funds to help Rainbow Community School families and students who have a demonstrated need. In the classroom and throughout the school, we employ the principles of Positive Discipline developed by Jane Nelson, Ed.D. This approach draws from the exceptional theories of Alfred Adler and Rudolf Driekurs, who believed that all people, even children, should be treated with dignity and respect. Positive Discipline teaches important social and life skills in a manner that is respectful to both adults and children. According to this approach, a misbehaving child is a discouraged child; encouragement is used as the basic motivator rather than blame or shame. Positive Discipline builds genuine self-esteem and empowers children by teaching self-control and responsibility. 7th/8th Grade Omegans present Personal Interest Projects, or PIPs to the community each year. They research a topic of interest, prepare a corresponding slide show, and speak about their project. Starting in the fourth grade students have an opportunity each year to pursue a topic of their choice in great depth. They need to be resourceful, creative, and highly skilled in order to research their topic, present it to their peers, and integrate creativity. At the Omega level, one of the requirements it to write a five page MLA-cited paper along with the project, which is excellent preparation for high school. 6th grade Omegans create socially beneficial businesses. Students write business plans and have the opportunity to receive a small grant to implement a business that is either non-profit or for-profit, while still benefitting the greater good. Rainbow’s location in the heart of West Asheville, provides students with the chance to market to the wider community. 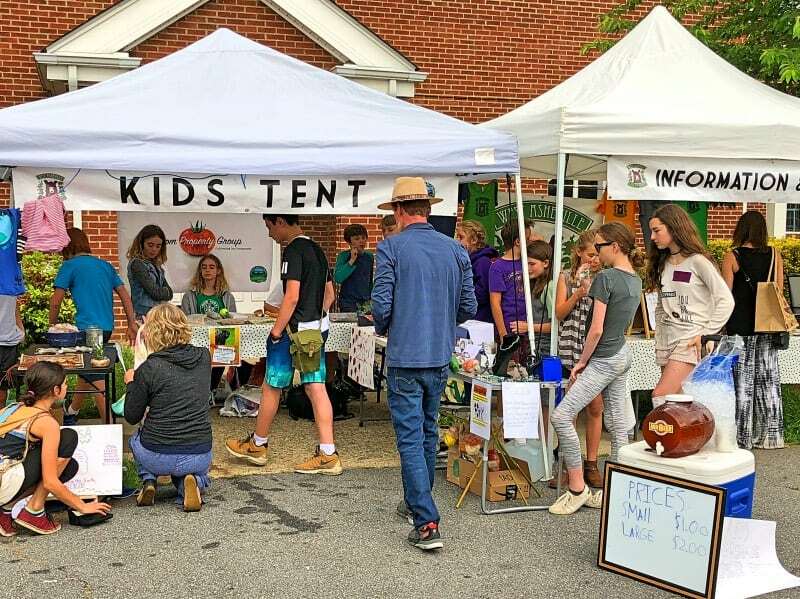 Students bring their businesses to the local farmer’s market and sell their goods. 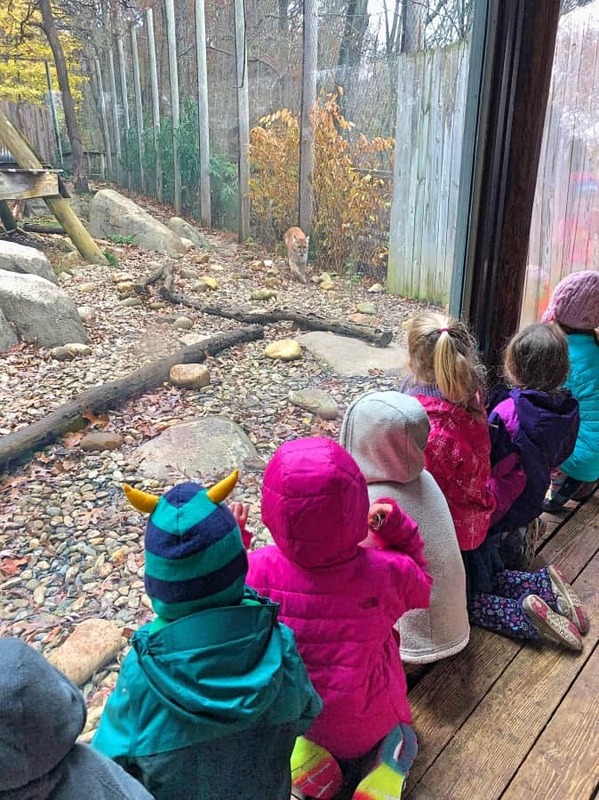 Field trips are an integral part of the curriculum at RCS because they expose students to many new experiences and environments. Outdoor learning opportunities are common, and children enjoy exploring our mountainous and urban habitat. 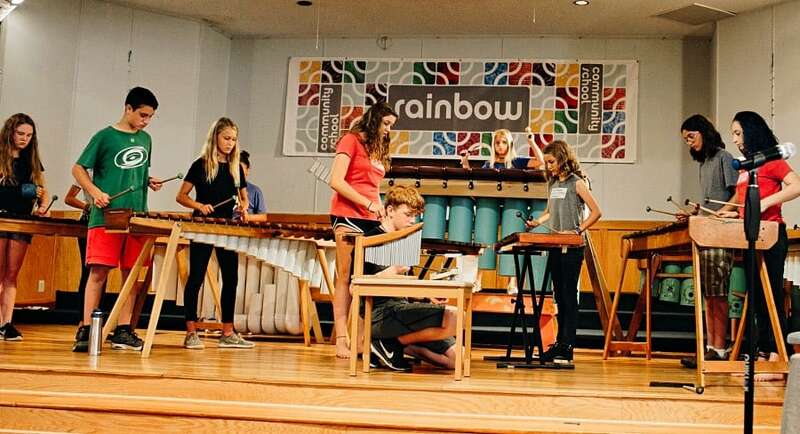 “Specials” classes at Rainbow include Spanish, Physical Education, Art, and Music — all taught by specialists in their field. In addition, all of these subjects are also integrated into the regular classroom as much as possible. 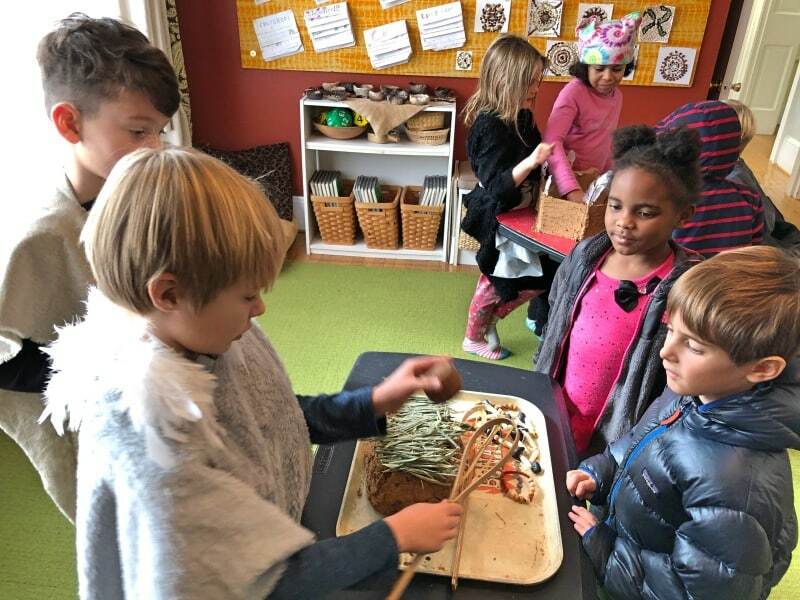 At Rainbow Community School, celebrations are treasured as times to deepen our bonds of community, to explore the magic and mystery of other cultures, and to awaken to our connection with the Earth, her creatures and seasonal rhythms. Celebrations encourage our children to express their natural creativity. Annual events include Halloween and El Dia de los Muertos, Winter Solstice and various winter holidays, Lunar New Year, Valentine’s Day, Earth Day, and May Day. Additional celebrations may be honored that reflect students’ various interests and cultural/religious backgrounds. Counselors-in-training (CITs) are Omega students who work with preschoolers in the summer session. 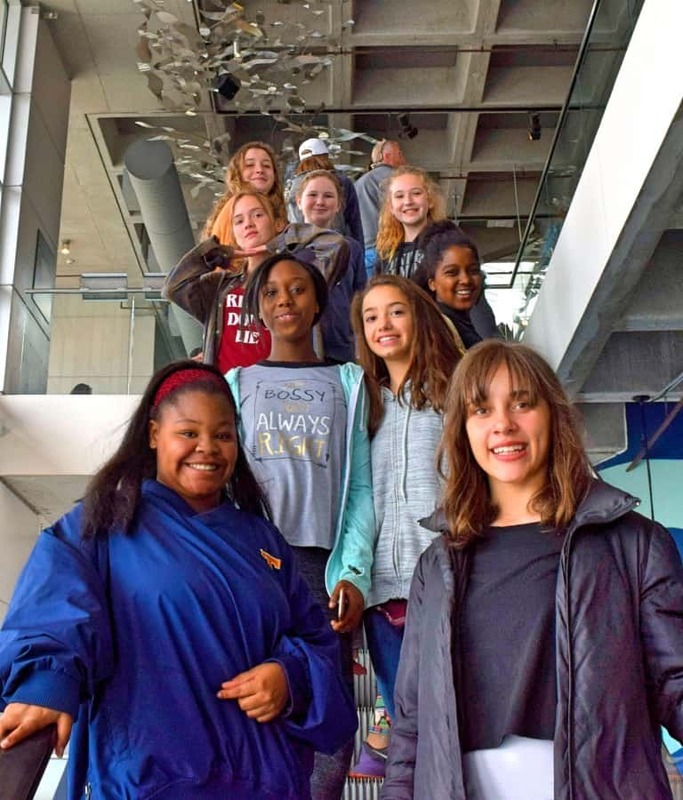 In this optional program, interested middle schoolers can develop skills working with younger children while earning some spending money at the same time. CITs assist preschool teachers by organizing and cleaning up around the classroom, reading stories, and helping the children solve problems. But the biggest benefit may result from the special combination of ages that often encourages friendships throughout the school year.